The island has spectacular beaches and there is one for every beach style! 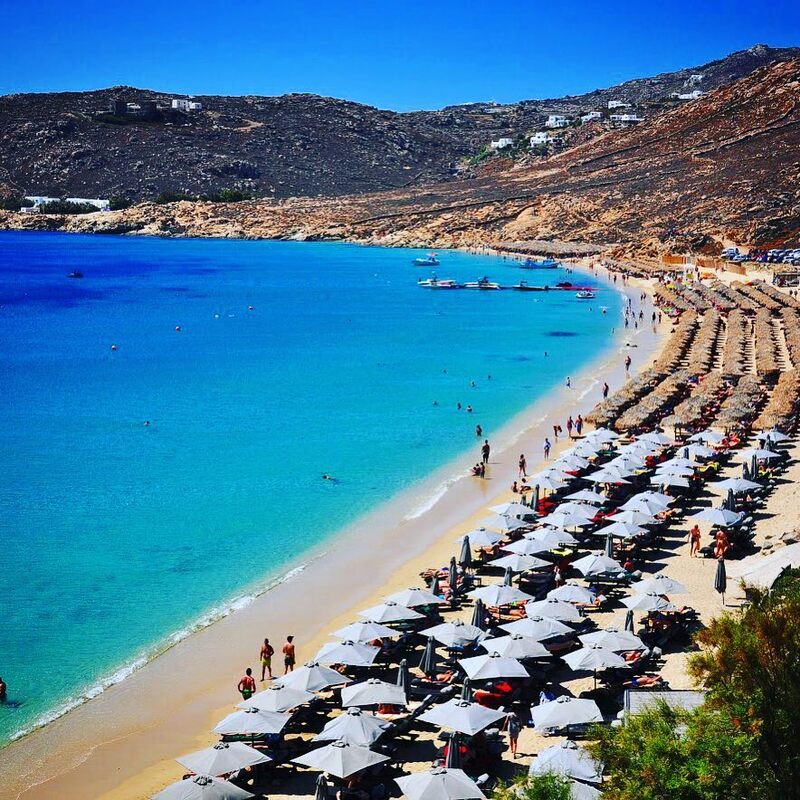 A guide through the best Mykonos beaches! Either you’re looking for a party beach, a more cosmopolitan or a quiet and secluded, there is one for every beach style! Mykonos island is famous for so much. It has great nightlife options, amazing restaurants, gorgeous luxury hotels, a beautiful whitewashed main town but nothing compares to it’s spectacular beaches with the fine golden sand and the crystal clear waters. There is a beach for every taste and mood. Nudists, party people, families, gay and also those seeking a break from the overcrowdedness of Mykonos. 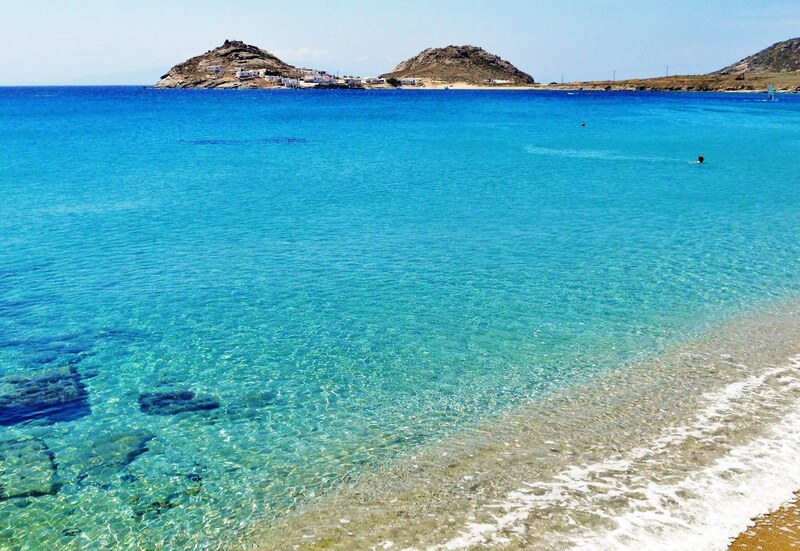 Mykonos beaches on the south coast have the best sand, view and are protected from the regular north winds while most of them have beach bars, taverns, restaurants, shops and are also well equipped with deck chairs and umbrellas. The north coast Mykonos beaches are less developed but just as beautiful. They are less organized and crowded and most suitable for those in search of tranquillity. Furthermore keep in mind that most people begin to arrive in the early afternoon (13:00-14:00pm), and you can avoid the worst of the crowds by going in the morning. Description: There’s a small beach at the harbor front (Agia Anna, one of several by that name on the island). Unless you are waiting for a boat leaving from the old port, there is no reason staying there. Much better beaches are within easy reach.